Each spring I delight in looking for wildflowers in our area of Central Minnesota. This year it has been difficult because of the late spring. I have a few favorite places where I know I will find wildflowers each year. I visit those places each week in search of the flowers I think should be blooming at this time of year. This morning I visited one of my favorite spots along the Mississippi River in Little Falls, Minnesota. 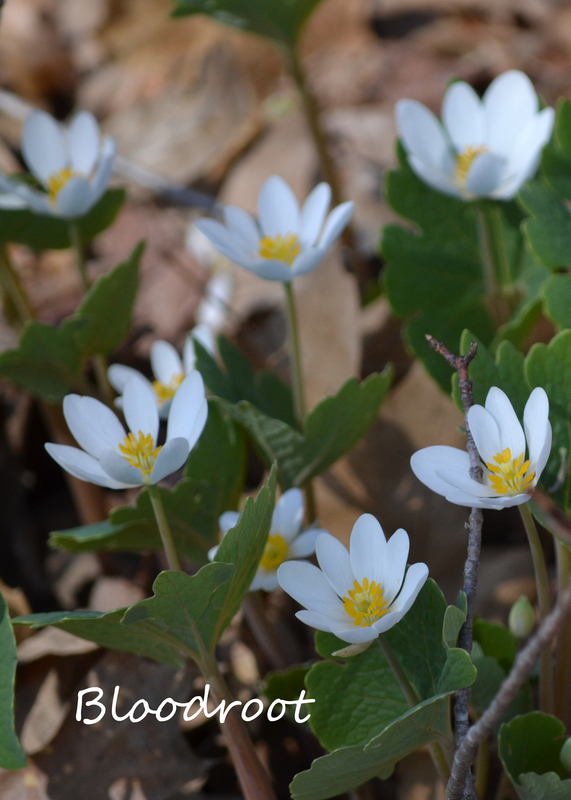 I was searching for Bloodroot which is usually one of the first wildflowers to bloom in our area. I found White Trout Lillies first. Here is what they look like growing near the Mississippi River in a wooded area. Next I found the Bloodroot. 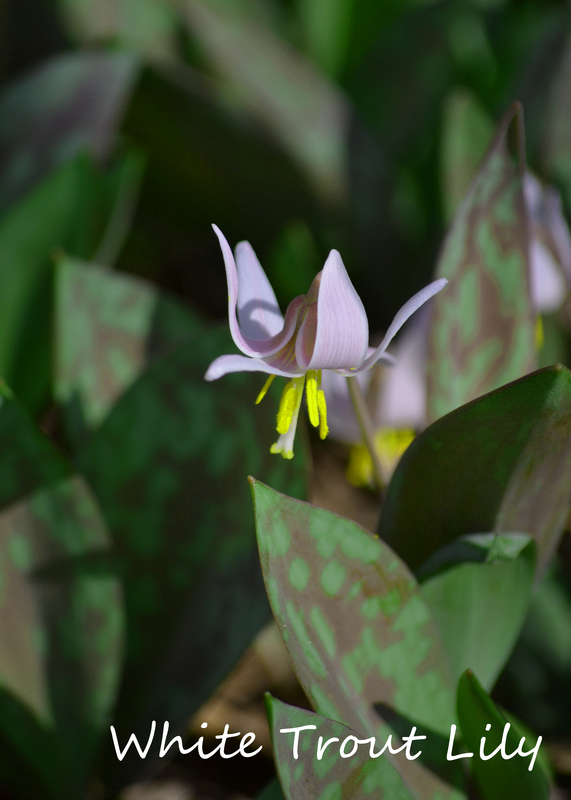 They were not as plentiful as the White Trout Lily but they are some of my favorites. Before their flowers open they remind me of miniature tulips. I wish they bloomed longer. 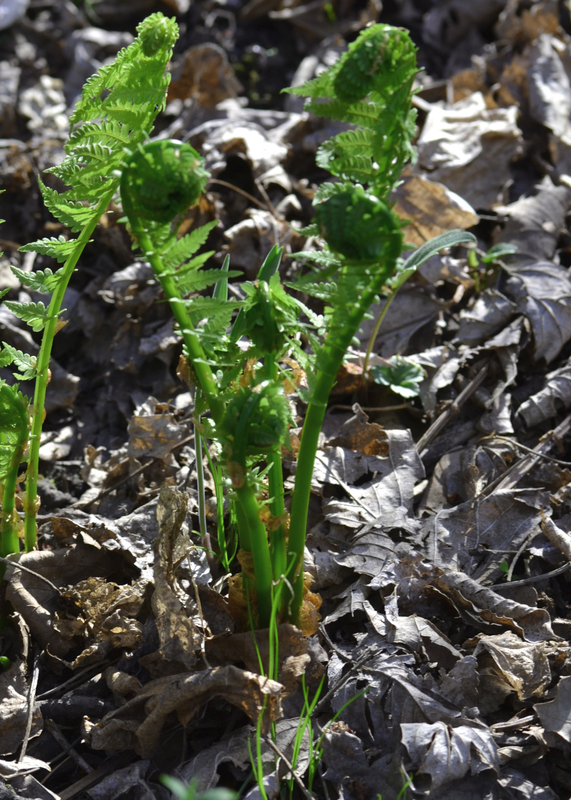 After I found the Bloodroot I got a couple of shots of the ferns starting to shoot up. and that’s where the Fiddleheads thrown in for fun comes in. Next I headed over to another favorite wildflower place in Little Falls, Minnesota, Pine Grove Park. 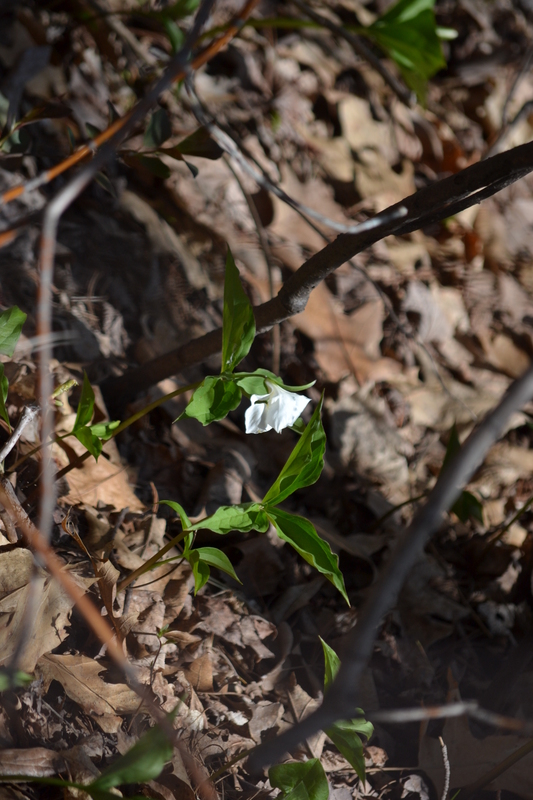 It was there that I found the Trillium just starting to bloom. Next week they should be in full bloom which is always fun. 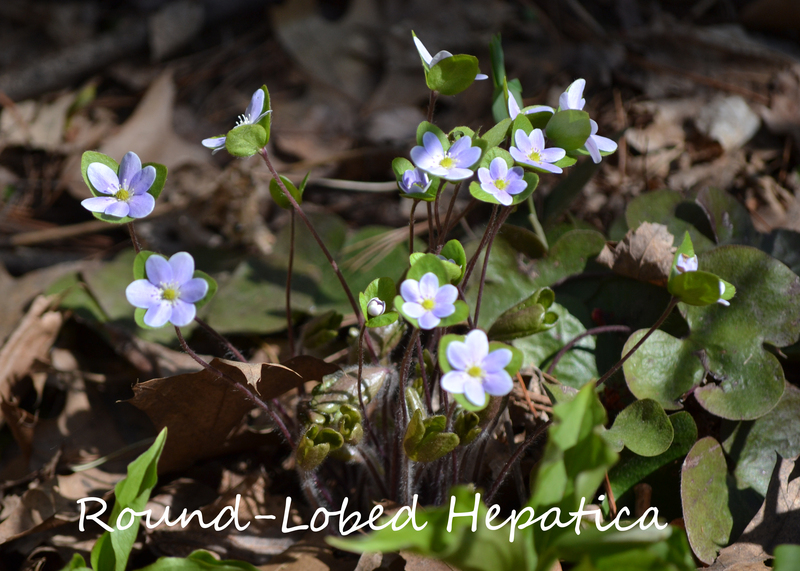 Last but not least were the Hepatica. I love how these wildflowers come in various hues from white to blue with a little bit of purple on occasion. Have a great weekend. I am hoping to enjoy the rain we desperately need this weekend while reading a good book. It’s that time of the year again. My home is bursting at the seams. College is done for the spring semester and my daughter is home until the middle of July. Last evening my husband, daughter and I took the pickup truck and trailer and headed to St. Cloud after work. We needed to move her large things from her apartment home until she moves into her new apartment in July. She already brought a car load of items home after finals but needed help with the large stuff. Her apartment is on the second floor but the apartment itself sits on the top of a hill above the parking lot so its like she is on the third floor by the time you carry everything in or out of the apartment. As we were carrying out her box spring, mattress, TV, desk, refrigerator, chair, bookcase, shelving unit,couch and some smaller items I thought back to the past few years and just about every May has been a moving month along with August. This year is no different with one exception. When we move our son the end of this month it will be the last time for a very long time. He bought his own home. I’m glad I don’t own an apartment building or rental property. The walls in the stairway and doors show wear from the constant moving of stuff in or out. We don’t own rental property but our home is also starting to show wear from moving kids in and out. Last evening we once again moved furniture in the family room to make room for the extra furniture until July. Each time they move from one place to the next they seem to accumulate more furniture. This time my daughter added a couch to her stuff that a friend gave her for her next apartment. Last month my girls bought a table, set of four chairs, and a bakers rack for their new kitchen which now reside in my sun room. My mom and dad updated their appliances last month and gave our son their old appliances which now reside in the garage until the end of the month. Great deal for him since appliance were not included in the house he bought. The timing is perfect except it would of been nice to be able to move them directly to his new home without a pit stop in the garage. My mind is already rocketing forward to the end of this month, July and imagining the moving of more stuff. I hope my daughters’ new apartment has easy access and is on the main floor. I know my son’s new home will be an easy move in his front door just four steps up or four steps down and you can back right up to our front door and his. For your viewing enjoyment this morning, a slideshow of some the wildflowers I found yesterday morning. In just 4 short hours I will begin my mystery adventure. Oh I know where I am going but I’m not letting you in on the secret until I arrive at my destination sometime around 11 am Sunday morning. While I should be packing for my little adventure I find myself wanting to do anything but that this evening. Packing will be easy since I love to travel light. ,A backpack for my clothes and laptop. My camera bag with my billfold,cellphone and I will be ready. It’s wonderful to not need winter clothes although they are once again predicting some snow over night. Today after working I drove to Little Falls for a haircut, my least favorite activity but necessary I suppose at some point. I picked up some pictures I had developed and a few necessities for my adventure. On my way home I stopped at Pine Grove Park in Little Falls to check to see if the Trillium were blooming yet. Some have formed their flowers but are not open yet. I will have to go back to the park next week to get some photos of the Trillium in full bloom. They are really quite beautiful and seem like they should be in a much more elegant setting than on the floor of the woods. Another wildflower I found this afternoon was Wild Ginger or Asarium canadense. It is one of my favorite wildflowers for it’s uniqueness. The flower blooms at the base of the plant and not on the top like most flowers. It’s flower is pollinated by ground-dwelling insects such as beetles. It has a flower at the base of a pair of leaf stalks. Long white hairs cover its stem and leaves. On a random note…On my way to town today I saw living lawn ornaments of the unique variety that I thought I’d share before I go to bed for 3 1/2 very brief hours of sleep. In case you think this is a farm-yard, guess again. It is on the front yard of a home in a small town. As far as I know they don’t keep turkeys as pets there. I think they are just passing through. The largest seems to be a combination of domestic and wild turkey. Enjoy your Sunday and I will catch up with you all a little later in the day to reveal the mystery location and plans. Blessings on your day!